Financial sector plays a vital role in economic growth of any country. One of them is banking sector. It is a financial intermediary to manage funds and to channel savings and investments in financial securities. Stability and growth of economy is depending on stability of banking industry. Bank plays a role of intermediary between depositors and borrowers. Now a day’s bank provides hundreds of services to their customers to make their standard of living higher. It performs different function like cash management, brokerage, insurance, credit and payment facilities. Islamic banking is growing well in Pakistan and other Muslim counties. State bank of Pakistan Islamic banking department is progressing with a vision to make the first choice for the users. According to an estimate the total assets of Islamic banking grown worldwide approximately US $ 700 billion with annual growth exceeding 10% from last decade and to grows to US $ 2.1 trillion by end of 2018. Islamic banking is not only attracting people from Muslim countries but also from non-Muslim major economical countries like USA, Japan, China and France. Islamic banking has a wide range of products and services throughout the world. 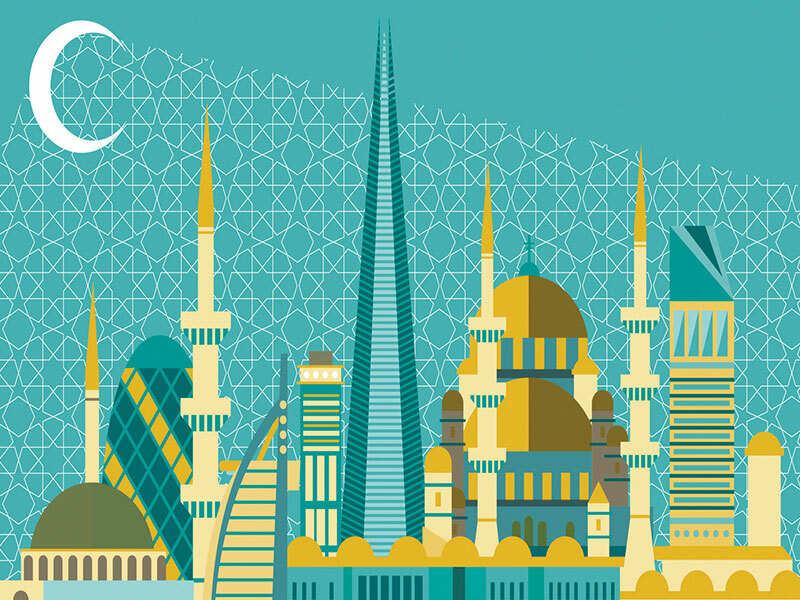 Islamic banking has more than 300 financial institutions in 75countries around the world. Islamic financial market growth rate is considered about 15 to 20% but now in 2018 it has come down to 6-7%. 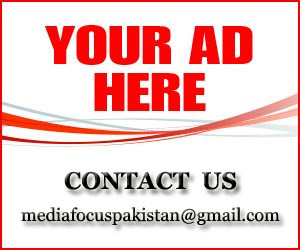 Pakistan is a Muslim state trying to implement complete Islamic financial system. 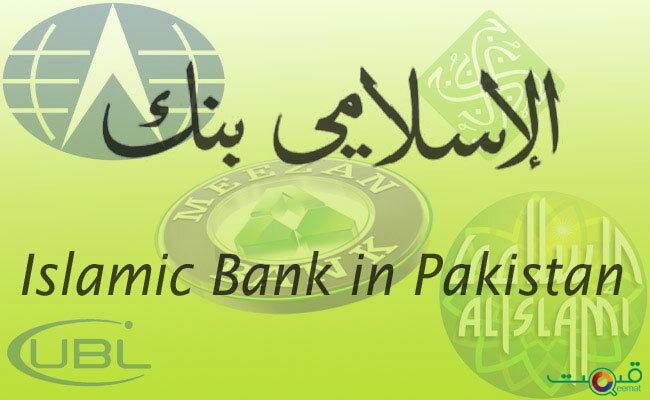 Islamic banking concept was started in Pakistan from 1948, when State Bank of Pakistan was inaugurated. Islamic banking network is expended about over 2,581 branches operating in Pakistan. Assets of Islamic banks are reaching to Rs. 2.2 trillion. There are two types of banking interest based banking (conventional banking) and non interest banking (Islamic banking). Conventional banking was progressed in the ancient era. When the British king Henry through his orders to charge interest from operation in 1545 and allowed the Jews to charge 43 per cent of interest from operation. The Jews take advantage from this situation and charge high interest in new business. The people introduced different concept to earn money with attractive interest rate. This interest concept spread all over the European countries Conventional bank came into existence nearly 424 years ago when Banco Della pizza bank was established at Rialto in Venice. Islamic banking concept was started on the days of Holy Prophet (SAW). When interest was common in Arabian people before Islam, People used to money one another charging high interest. Interest was circulated all around but when Prophet (SAW) came then life of people changed, those people that hate each other they become like a brothers. When Prophet (SAW) migrated to Medina, then people of Makah also shifted their business to Medina. People shifted its profession from agriculture to business and kept their valuable asset to an honest person in the form of deposits not to earn interest. Interest concept was eliminated from people to perform different business activities on the basis of sharia. The people of Makah kept their saving with holy Prophet (SAW) because he (SAW) was an honest and truthful. Islamic bank was introduced firstly in Mit Ghamar in Egypt in 1963. In 1965 Dubai Islamic bank was established. It progressed well in a very little time. This bank practiced to present the methods of Islamic mode of finance and facilitate people through Islamic products in 1974 the organization of Islamic countries established IDB (Islamic Development Bank) to provide financial assistance to member countries without charging any interest. The IDB (Islamic Development Bank) is an international organization that provides the facilities only to people of Islamic counties. Islamic Bank of Sudan was established in 1977 and the same year Islamic Bank of Egypt also started their operation. In 1979 Bahrain Islamic Bank was established. 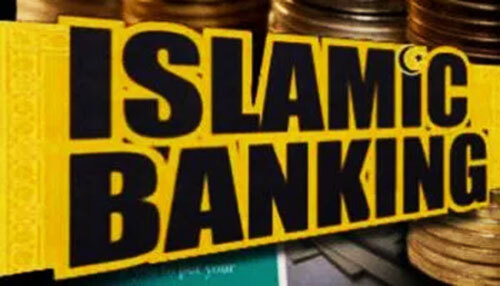 Islamic banking industry is growing rapidly in Pakistan. A research was conducted to measure the financial performance of Islamic and conventional banks in terms of profitability, liquidity, risk, capital and efficiency. Many other studies had been conducted to evaluate the financial performance of Islamic and conventional banks in Pakistan such as Moin (2008) assessed only one Islamic bank with group of 5 conventional banks during 2003-2007. Furthermore Kakakhel and Raheem (2011) evaluated the financial performance of two Islamic banks and two conventional banks for the period of 2008-2010. Moreover Usman and Khan (2012) measured the financial performance of two Islamic banks and three conventional banks for the period of 2007 to 2009. All these data were only for three or four years and Islamic banks were on initial stage in that period of time. This study is different from others as no recent studies have been conducted to evaluate the financial performance of Islamic and conventional banks in Pakistan. To fill the gap time period of study have been increased for the accurate and authentic results. Time period of the study is ten years from 2006 to 2015. Return on Average Asset- Usman and khan (2012) investigate that ROAA of Islamic banks are better than conventional banks. Return on Average Equity-Usman and khan (2012) concluded that conventional banks are lower ROAE than Islamic banks. Profit Expense Ratio- Profitability of Islamic banks is more than conventional banks. Liquidity ratios- The result indicates that liquidity of interest free banks is better than interest based banks. Loan to Asset Ratio- Akhter and Rehman (2009) investigated that Islamic banks have less loan to asset ratio than conventional banks. Loan Deposit Ratio- Akhter and Rehman (2009), Kakakhel and Raheem (2011) investigates that Islamic banks have less LDR than conventional banks. Current Ratio- It shows that Islamic banks are covering its current financial obligation more efficiently than conventional banks (Kakakhel and Raheem, 2010). Current Asset Ratio- Raheem (2010) also finds that Islamic banks are better in current asset ratio than conventional banks. Hence we formulate our second hypothesis H 2: Liquidity of Islamic banks is more than conventional banks. Risk and Solvency- The study concluded that BIMB (Bank Islami Malaysia Berhad) was less risky than conventional banks. Different studies found the same result that Islamic banks are less risky than conventional banks (Kader and Asarpota (2007) Olson and Zoubi (2008) Akhter and Rehman (2009) Saba and Sehrish (2012) Al-Hares (2013)). Debt to Equity Ratio-It shows that Islamic banks are better manages their risk than conventional banks (Kakakhel and Raheem, 2010). Debt to Total Asset Ratio- Debt to total asset ratio of Islamic banks are lower than interest based banks, it means that Islamic banks minimize their risk more efficiently than conventional banks (Moin, 2008). Akhter and Rehman (2009) also find the same result. Hence we formulate our third hypothesis i.e. Risk of Islamic banks is less than conventional banks. Capital- The result reveals that Interest free banks have well capitalized than conventional banks. The result was similar with the study Amba and Fayza (2013) Abedifar et al, (2013) and Gazzar (2014). Capital Risk Asset Ratio- It is used to determine capital adequacy and a technique to control risk of the firm. When value of ratio is higher it is indicate that a firm is well capitalized (Akhter and Rehman, 2009). Equity-to-Assets Ratio- It is show that Islamic banks have well capitalized than conventional banks (Hassan and Bashir, 2003). The result is similar of the previous study done by Iqbal (2001). Equity Liability Ratio- Akhter and Rehman (2009) also find that Islamic banks have higher equity liability ratio than conventional banks. Hence we formulate our fourth hypothesis i.e. Capital of Islamic banks is more than conventional banks. Efficiency – The study focuses to evaluate the performance in terms of efficiency, profitability and investment opportunities. The result shows that both Islamic and conventional banks increased their efficiency. The result denotes that Islamic banks were more efficient than conventional banks. Asset Utilization Ratio- Samad (1999) investigates that conventional banks have lower asset utilization ratio than Islamic banks. It is means that Islamic banks have better efficiency than interest based banks. Operating Efficiency- The conventional banks has lower OE than Islamic banks. It means that interest based banks are less efficient than interest free banks (Thorsten, Asli and Quarda, 2010). Hence we formulate our fifth hypothesis H 5: Efficiency of Islamic banks is more than conventional banks. The studies reveal that only in Loan to asset ratio and Loan Deposit ratio Islamic Banks are behind conventional banks.